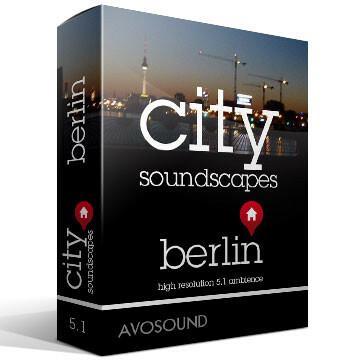 The City Soundscapes Hamburg Sound Library contains 88 atmosphere tracks and sounds with more than 3.2 hours of audio material in High Definition 24 Bit / 96 kHz resolution. 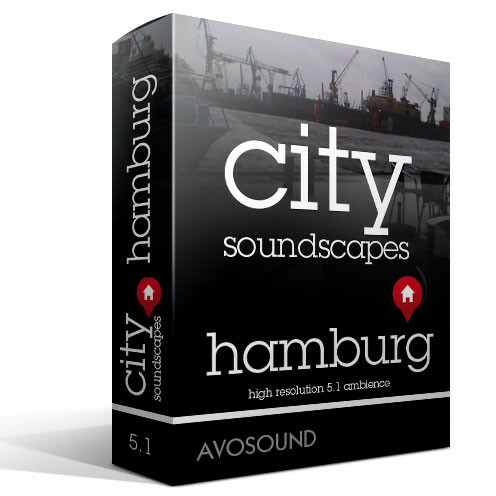 Come rain or come shine, the City Soundscapes Hamburg Sound Library will take you where the action is in this fascinating city - and you won't even need an umbrella! 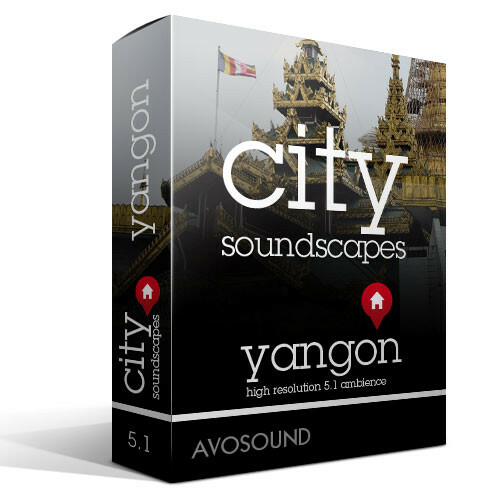 Your sound archive is the source of your creative endeavours in sound editing and sound editing. A comprehensive archive that contains many hits and great sounds will make your work more efficient and fast at a very high level of quality. It is the foundation for your creative work and your success! At Avosound, we collaborate with our partner labels to offer you comprehensive options for your sound archive and your needs. Whether it's a fully featured library or simply a thematic extension, we will help you put together your own sound archive. Our selection includes sound archives of all sizes. 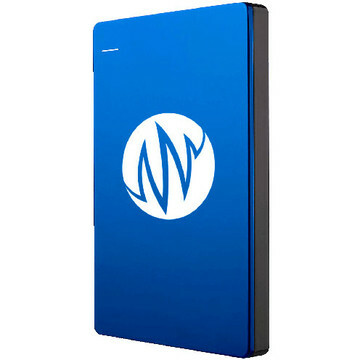 Whatever you need, we have it: sound archives for project studios; thematic extensions for existing archives; archives for multimedia or game designers; custom solutions for software manufacturers; and XL-size super-archives. Yes, this is our very own archive. We have been travelling the world for more than 10 years, collecting sounds and noises. We specialise in atmospheres and background noises from all sorts of far-off places, some more remote than others. We don't shy away from climbing to the roof of the world (i.e. Tibet) to record Tibetan monks, yaks and nomads (as well as their not-so-peaceful dogs). For our atmosphere archives we will travel to the far corners of the world in order to capture total silence; we'll hunt through dark basements with our recorders, trying to capture room tones; we'll creep through the jungles of Burma, Vietnam and New Zealand; or we'll visit all sorts of cities to discover brand new and original sounds for your production. Sounddogs is one of the industry's oldest labels specialising in sounds and noises. Sounddogs is owned by Rob Nokes, one of the industry's most famous and creative field recordists. Since the 1980s, Rob has been making sound recordings for archive purposes as well as for countless Hollywood productions. As Rob managed to retain the rights to his recordings, the Sounddogs sound library kept expanding over the years. 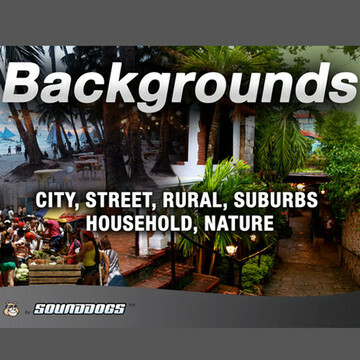 The Avosound Online Sound Archive contains more than 100,000 sounds and noises from Sounddogs that can be downloaded individually or as a package. The Sounddogs label encompasses several first-rate sound archives, including the outstanding Soundelux Sound Archive, which is easily the most comprehensive and impressive sound archive in the world. 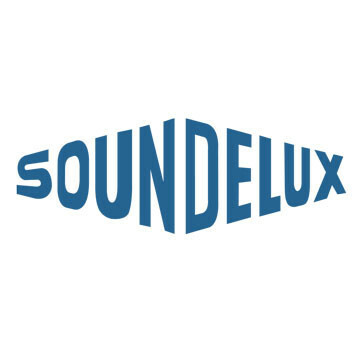 Soundelux comprises the legendary, highly coveted audio treasures of the Soundelux Studios, as well as sounds from many award-winning productions and movies that have rarely been used anywhere else. Also under the Sounddogs roof is Rob Nokes' own personal archive, the Sounddogs Sound Archive. 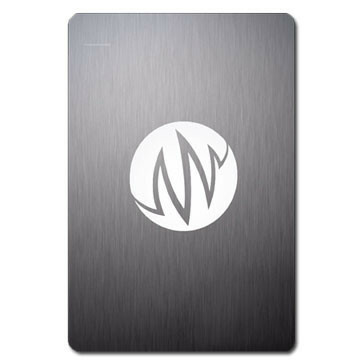 It's a self-contained sound archive with countless unique and impressive sounds. All of the sounds from these two archives are available in their entirety in the Avosound Online Sound Archive and can be previewed or downloaded individually. The Coll Anderson Sound Archive is another impressive and highly useful sound archive that is part of the Sounddogs label. This comprehensive collection from the personal archive of well-known sound designer Coll Anderson contains a whole spectrum of sounds that are beautifully recorded and hard to find in other libraries. So if you want to blow the dust off your sound collection, give the Coll Anderson library or the Sounddogs Sound Archive a spin. All Sounddogs and Coll Anderson sounds are available in the Avosound Online Sound Archive! For many decades, the BBC have been making film and TV history with their impressive and award-winning productions. Their unique sound archive is the result of such a long history of excellence; it contains recordings from the farthest corners of the world. Unfortunately, the BBC sound archive is no longer being updated or expanded. Parts of the legendary BBC sound library were released with the BBC sound collections that include unique nature and environment recordings that are almost impossible to find anywhere else. In addition, the BBC Nature Sounds Archive contains unique animal and bird sound recordings, with exact descriptions and designations - just as you would expect from the BBC archivists. The BBC Sound Archives comprise sound recordings from the last 50 years. Not all of the recordings are up to today's standards in regard to noise and sound quality. But many of the recordings in the BBC Archives are still unique, e.g. original recordings of London during the Blitz (WWII) or the animal and environment sounds mentioned above. Think of the BBC Archives as your source for anything that is supposedly no longer available, already extinct or generally impossible to find. A cutting-edge noise reduction tool will make even the noisiest of recordings sound clear as day. The Canadian Sound Ideas label was one of the very first of its kind in this business. Thanks to their famous, internationally renowned sound archives (e.g. the 6000 series), Sound Ideas can be found in a wide range of post-production companies, theatres and sound studios around the globe. There's almost nothing that can't be found in the Sound Ideas archives: production music, production elements, cartoon sounds, atmospheres - as well as standard sound from every imaginable acoustic category. Sound Ideas cover all the bases with their compact, theme-specific collections and their comprehensive sound archives. With the extremely successful Series 6000, Sound Ideas have created the go-to archive for countless sound studios around the world. The Series 6000 was expanded several times. Special archives like Open & Close are still among the most popular ones out there, featuring a wealth of recordings of things that can be opened and slammed shut. Over the years, Sound Ideas released hundreds of sound archives that demonstrate the label's constant passion for sounds. Thanks to the introduction of high resolution audio formats, multi-channel sound and download technology, the Sound Ideas sound archives are now available for download or, depending on the size of the archive, on a hard drive. Sound Ideas not only deliver countless sounds, Sound Ideas also have their own label for music archives that contain royalty-free production music. 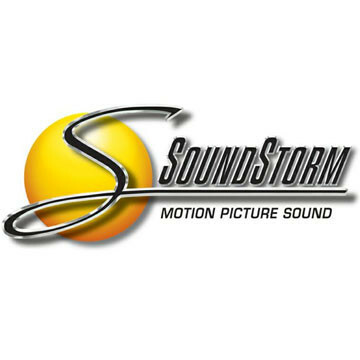 Production elements like sound carpets, sweeps, stingers, as well as announcer or FX elements used for professional trailers, are yet another Sound Ideas category. Sound Ideas offers several collections of production elements with many effects, effect groups, as well as comprehensive collections that contain everything you need to achieve either subtle or cacophonous results (depending on your project). When will you edit your next trailer? For many years, Hollywood Edge has been the American counterpart to the Canadian Sound Ideas label. The general rule was 'if you can't find it with Sound Ideas, try Hollywood Edge' - or vice versa. Hollywood Edge has become a fan favourite all over the world thanks to its famous Premiere Edition collections. The Premiere Edition Sound Archive was expanded several times and is now a massive and highly comprehensive sound archive. Thanks to the impressive sounds of many famous Hollywood sound editors, this unique archive has grown exponentially - in 24 bit/96kHz quality to boot. Hollywood Edge released countless theme-specific expansions. From recordings of guns, tanks and grenades to animals, birds, nature, environment and foley sounds: the Hollywood Edge Sound Archives are well known for their impressive sound quality (which, to this day, makes them a studio benchmark). Sound archives like the Historical Series, Eerie Series, The Edge or the European Edition are still regarded as classics in the Hollywood Edge line up. Hollywood Edge is now owned by Sound Ideas. All sounds from Hollywood Edge are available in their entirety in the Complete Hollywood Edge Sound Library or together with the entire Sound Ideas and Digiffects archives. Pro Sound Effects from New York City offer impressive and unique archives that will enrich your sound archive. With its Hybrid Library, Pro Sound Effects managed to make every freelance sound designer's heart beat faster: the Hybrid Library contains an impressive range of sounds at an incredible price. Apart from the Hybrid Libraries, Pro Sound Effects also distributes archives from Kroeber and Splet. The two famous and near-legendary sound designers Ann Kroeber and Alan Splet created pioneering work for the films of David Lynch and revolutionised film sound and sound design. 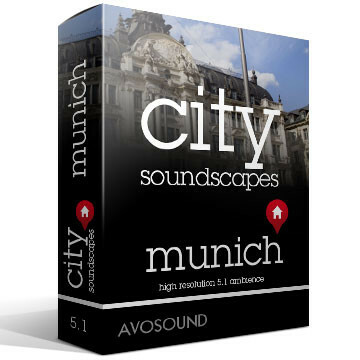 Pro Sound Effects released several theme-specific sound archives with sounds from the personal archives of Alan Splet and Ann Kroeber, including Cinematic Winds, Beautiful Bugs, Stallion and many others. All Alan Splet and Ann Kroeber sound archives are compact sound archives with impressive sounds guaranteed to enrich your productions! EUR 4405.00 incl. 0% VAT Avosound In stock! Order now! EUR 87.00 incl. 0% VAT Avosound In stock! Order now! EUR 788.00 EUR 1053.00 incl. 0% VAT Avosound In stock! Order now! EUR 2022.00 EUR 2462.00 incl. 0% VAT Avosound In stock! Order now! EUR 194.00 incl. 0% VAT Avosound In stock! Order now! EUR 145.00 incl. 0% VAT Avosound In stock! Order now! EUR 264.00 incl. 0% VAT Avosound In stock! Order now!